A workshop featuring some of the College’s top alumni, designed to inspire students to enter the workforce with confidence and impact. Register here! Lowe comes to UF from CNN Digital where she served as a senior editor. In the INC, the College’s award-winning multimedia newsroom, she leads a team of seven news professionals and more than 500 student journalists each year to provide local news coverage for 19 north central Florida counties. 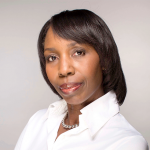 Lowe was formerly editor-in-chief of JET magazine (the first woman to hold that position), assistant managing editor at EBONY magazine, and worked for 18 years at Newsday in New York. ERIN CIGICH, B.S. Advertising 2007 Chief Executive Officer | Clickbooth Erin Cigich is chief executive officer of Clickbooth, a digital advertising and performance marketing company headquartered in Sarasota, Fla. where she is responsible for executing Clickbooth’s “Think Bigger” vision. 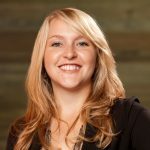 Prior to becoming Clickbooth’s CEO, Erin’s roles at the company included president, vice president of marketing and director of sales . President and Chief Executive Office | Universal Studios Hollywood Karen Irwin is president and chief operating officer of Universal Studios Hollywood, overseeing all business operations for the theme park, Studio Tour and Universal City Walk™. 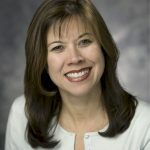 Prior to her current role, Karen was executive vice president of global merchandise and partnership development for Universal Parks & Resorts, leading a team responsible for retail concept and product development, compliance and licensed brand management, including the launch of retail programming for The Wizarding World of Harry Potter™. 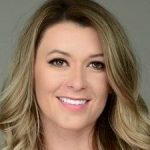 Vice President of Player Development |Philadelphia 76ers Annelie Schmittel is vice president of player development for the Philadelphia 76ers. In her role, she strives to engage and challenge athletes to maximize all aspects of their on- and off-court development throughout their athletic life and beyond. Prior to joining the Sixers, Annelie spent three seasons in player engagement with the NFL’s Oakland Raiders. King has served in multiple senior leadership roles during her tenure at Nationwide. 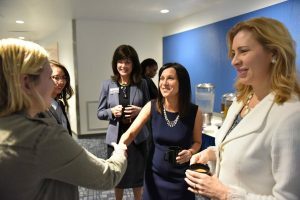 Since 2012, she has been responsible for developing the strategies that focus on recruiting, retaining and engaging more than 33,000 associates. 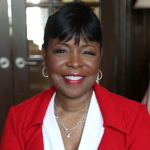 She serves on the board of directors for the National Urban League, the University of Florida Foundation, the Columbus Museum of Art and the Executive Leadership Council. She has established the Gale V. King Endowed Fund for Excellence at UF. “It is important to believe in yourself and have self confidence because if you don’t, no one will. 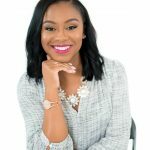 Remember you are your own biggest advocate and the only person in the world who can truly tell the world that you matter,” said Sarai Cruz, B.S. Public Relations 2015, about what she learned at Becoming a Woman of Influence 2015.